I n Episode Four of Animal Planet’s Treehouse Masters, Pete and Daryl of Nelson Treehouse Supply design a luxury skybox for the Pittsburgh Steelers’ wide receiver Antonio Brown. 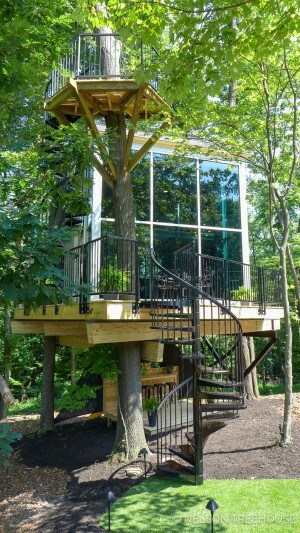 The stunning two-story treehouse framed with steel – true to Steel City – features a floor to ceiling window wall from YKK AP America, dynamic glass from Pleotint-Suntuitive. Modern Wall Systems was the featured installer. The new masterpiece overlooks a mini-sports complex in Brown’s backyard, giving him his own private retreat at home. Watch the full episode at Animal Planet, or get an inside look at this backyard oasis from Pittsburgh’s CBS affiliate, KDKA.